Make a lovely mobile decoration for spring! 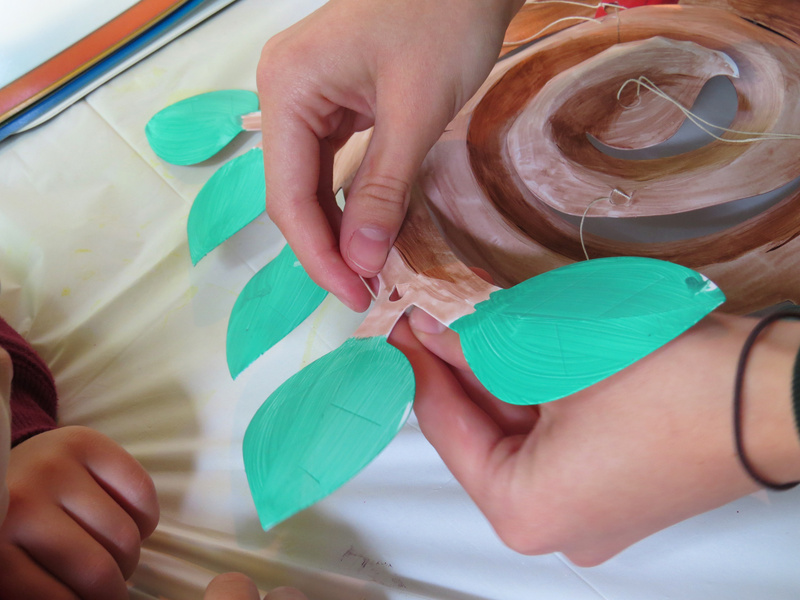 Our R51302 Nature Mobile Maker is a great base for making your mobile. 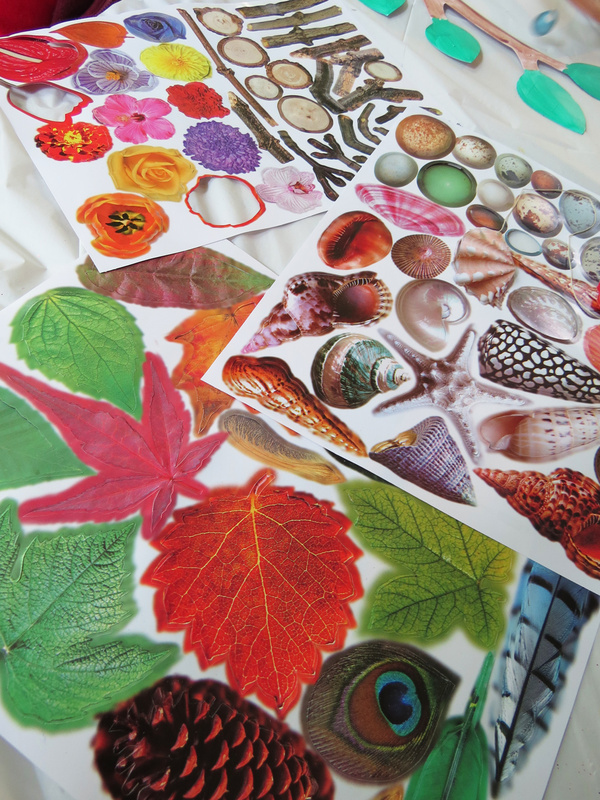 Add on found objects such as leaves, feathers or flowers! 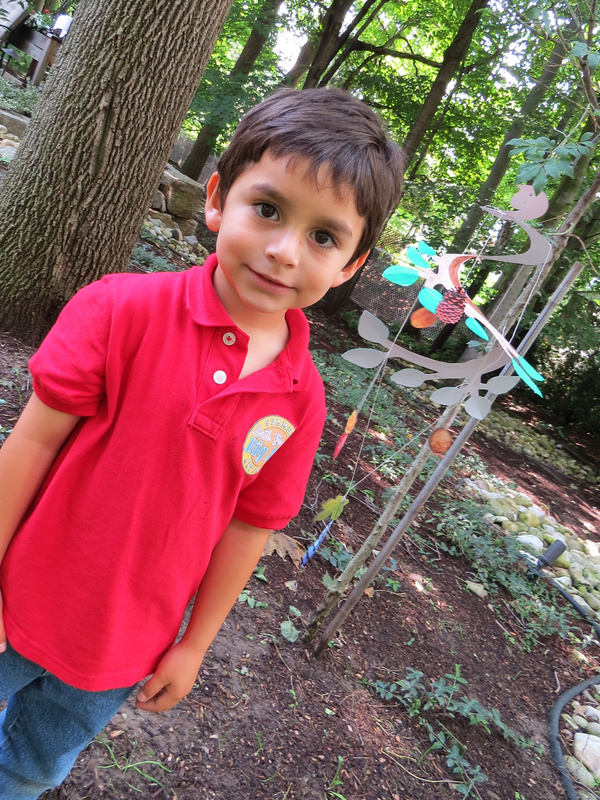 Learning Objectives: Explore the natural world through decorating the mobile with natural found objects. Experiment with gravity and weight through kinetic studies. Observe the movements and flow of air and how this affects the balance of weight on the mobile. First pop the blank Nature Mobile Maker out from its paper backing. Separate all the elements and then place the mobile on a protected flat surface. 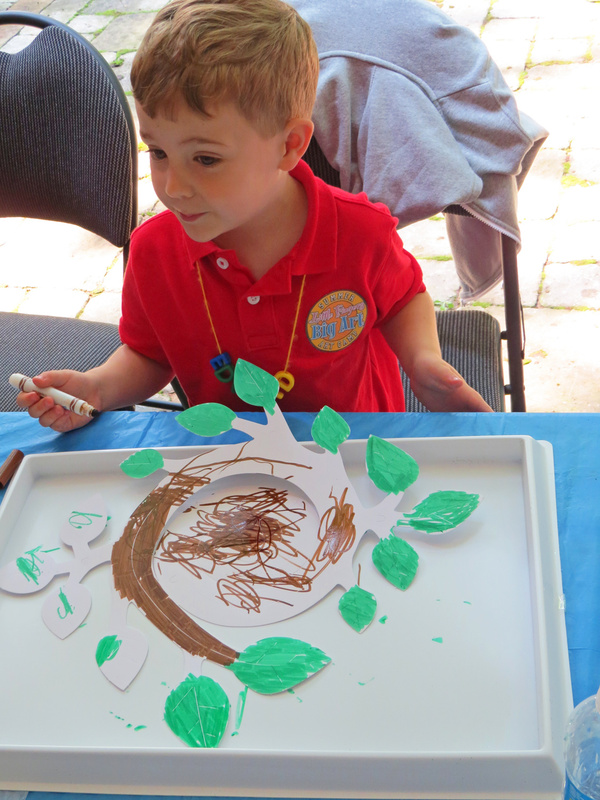 Use paint or markers to color in the branches brown and to color in the leaves green. Be sure to color on both sides of the mobile! This will make sure that from anywhere the mobile is viewed, it looks complete. 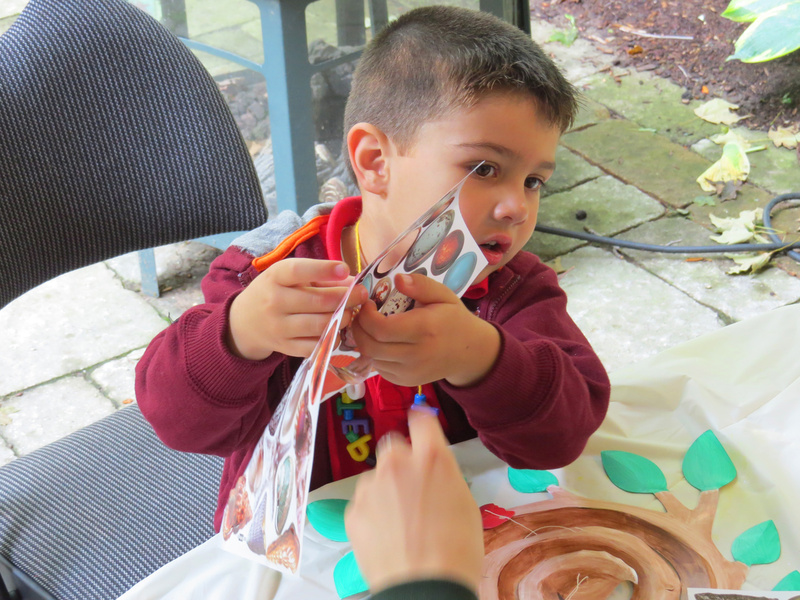 It was a bit of a rainy day when we made our mobiles, so we weren’t able to go exploring for found objects in nature. As a substitute, we used our R15290 Nature Paper! Pop out several of the elements from the paper backing. You’ll need no more than 6-10 elements per mobile. Mix large objects with smaller ones for a diverse appearance. Hole punch through the tops of each element you’ve chosen, then tie on a bit of string to hang from the mobile. Our mobile is designed with ingenious little flip-up tabs that can be raised and pressed down over the length of string to secure it in place. This makes attachment way more easier than messing around with tape or tying the pieces on with difficulty. 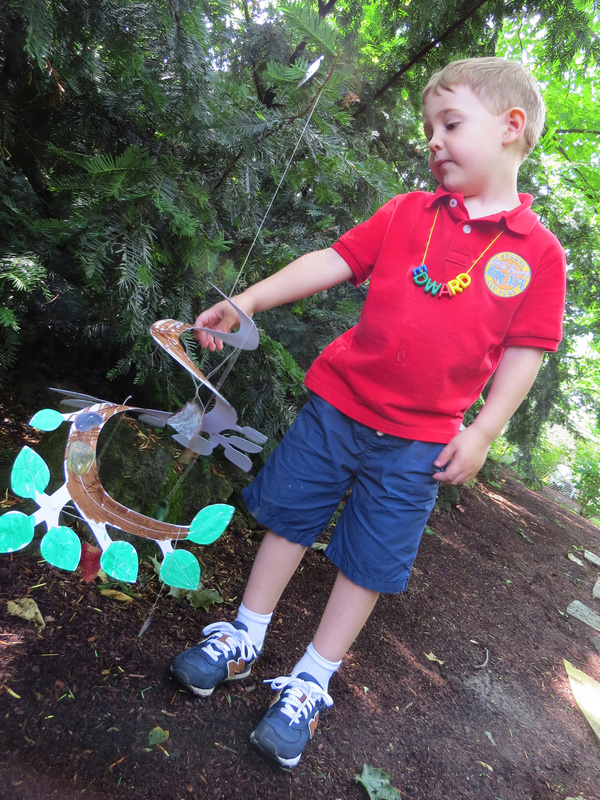 Our camper friends took their finished mobiles out to the garden to hang them up among the bushes. Even though the sun cleared up and we were able to resume our nature walk, we still had a great time making all our paper mobiles! 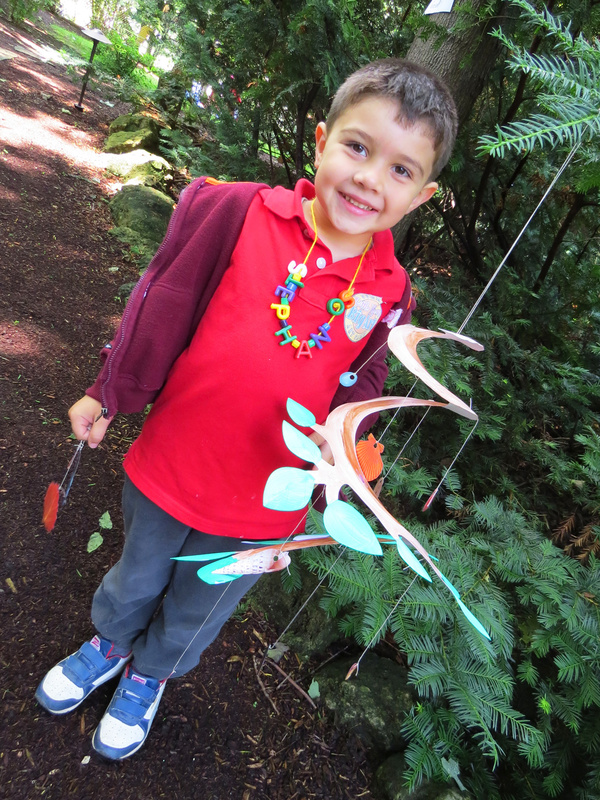 The mobiles seemed to blend right in with our amazing forest background! 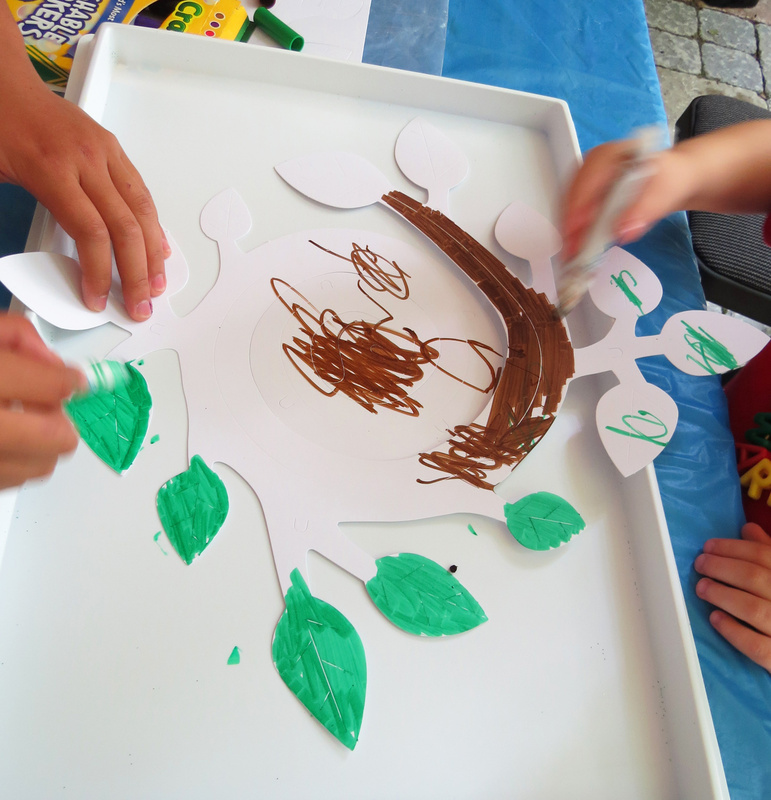 This entry was posted in Crafts, New, Science and tagged found objects, kids creative, kids games, mobile crafts, nature crafts, nature explore, nature mobile maker, nature paper, nature walk, outdoor activities for kids, r15290, r51302 by roylcoblog. Bookmark the permalink. This came out so cute! It’s clever to use the edges of the paper to add leaves. Thanks for sharing! Hello from Frugal Family Linky.